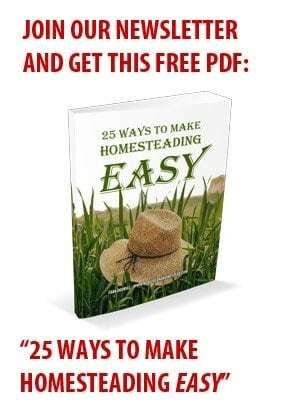 Whenever giving advice to new homesteaders, I always recommend that the first thing a person should do is plant fruit trees and berry bushes on their property. Before you plant a garden. Before you get chickens, or a goat. There are so many different fruits you can grow, and almost every single one of them will come back year after year. The thing about fruits, though, is that they typically take about three years before you get anything from them. So the sooner you plant them, the better. Before we planted fruit trees, I took for granted that an apple tree would have apples on it. It wasn’t anything special to me. Oh look, there’s an apple tree. It has apples on it. Nothing amazing about that, right? But now that I understand that fruit on a fruit tree is not a guarantee, every new bud, every forming morsel is a little miracle. There are so many variables which can affect how well your trees or bushes perform. Pests can invade your plants. A lack of rain, or too much rain, can damage them. An unusually warm Spring, followed by a cold snap can really hurt your harvest. The reality is, just because you have fruit trees it doesn’t mean you’ll always get fruit from them. That’s why it’s so exciting to me when I walk around and find so many growing fruits and berry clusters on our plants. They’re producing! I still have to consider that the animals might get to my harvest before I do. Wildlife seems to know the exact moment a fruit is fully ripened, and is very bad about swooping in and picking a plant clean before the sun has even risen. But if I keep a close eye, and am diligent to harvest at just the right time, I might… just might… be able to enjoy some of the fruits of my labor. This is why I would recommend that you plant more than you think you’ll need, and plant more than just one of each type of plant. Not only do many fruits need another variety to cross-pollinate with, but there’s no promise that the one you have will always do well. If you have the room, play it safe and plant a little extra. If everything you put in does well, then you can always use the bumper crop as a means of a little extra income, a bartering tool, or a way to bless those in need. What you can grow depends upon your hardiness zone. Once you know what zone you’re in, you can determine which plants do well in your area. You might also ask local farmers which varieties they’ve found grow best where you are. It’s also a good idea to buy plants from local growers when possible, because chances are if it grows well for them, it will grow well for you. Berry bushes and fruit trees make beautiful additions to edible landscapes. Consider replacing standard boxwood shrubs or non-producing shade trees with something that can nourish your family instead! 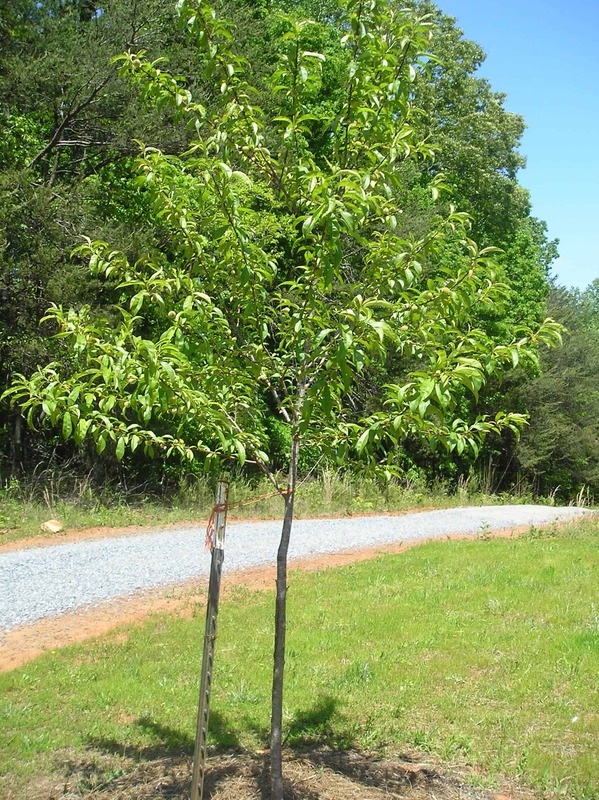 Do you have fruit trees or berry bushes planted around your home? We’ve been investing in lots of fruit trees and plants. There were already cherry and pear and plums on the property when we bought it (plus wine grapes). We’ve added more cherries, more plums, several apples, and pluots (a cross between apricots and plums – delicious!). Table grapes too. For berries, we grow blueberries, raspberries, and strawberries, and I’m planting an elderberry and a red huckleberry this year. Also have rhubarb. Would like to look into goji berries and honeyberries. Would be interested to learn more about growing nuts, if you ever want to post about that. Good alternative for protein and fats when meat is hard to obtain, plus just really tasty and good for you! Which are the easiest to grow? I know nothing about nuts yet. If you get too many fruit trees, it can be hard to use up all the fruit yourself some years. Many urban areas have fruit gleaning organizations that will come harvest what you can’t use and make sure it gets to those who need it, or processed into jams and such for those in need. Don’t forget to share if you can. Finally, remember that “the first year they sleep, the second year they creep, the third year they leap!” Be patient with your plantings; it will take a while for them to establish themselves well. Prune off some of their beginning fruits at first so they put more energy into their roots. Your patience will be rewarded in later years. But now that I understand that fruit on a fruit tree is not a guarantee, every new bud, every forming morsel is a little miracle. City folks think country folks live boring, uninteresting lives, that there is nothing in the country to do. If they only knew! One thing you can do is contact your local county extension agent. They will have a list of trees that grow well in your area. They will also be able to tell you about proper growing conditions, trimming, pruning etc. For example, I just graduated from a Master Gardener course. Beforehand I did not know why apple trees in orchards are always small, I thought it was strange. They are pruned to allow light and air into the center of the trees to help prevent disease, like Apple Scab and to make harvesting the fruit easier. Now I know. You should get your soil tested before planting to find out what kinds of nutrients it has and what it needs to give your trees the best start possible. You can buy kits but it might also be free through the extension office. I know it is free here in WV. It will be a much more detailed report than what you can get from a kit. I’m going to rip out the boxwood along the side of my house and plant blueberries and raspberries. Good ideas & reminders on perspective-so right! We have blueberries, grapes, figs, blackberries, and what we think may be a peach tree. It has these small oval type fruits on it right now with a pit in the middle. I guess we’ll see in a few months. 🙂 We had planned on planting some apples, plums, pears and other berries this spring, but had some unexpected expenses that forced us to wait until fall. Is there anything you recommend for fall planting? How’s Ms. Addy doing? So excited about your canning dvd AND what God is doing in your lives. How are you little ones? Hugs from our home. Our cherry tree did well when planted in Fall. It seems like most fruits do well when Fall planted, as long as you don’t have crazy winters. My Pawpaws didn’t make it when Fall planted, though, so it’s hard to say, lol. Ms. Addy’s condition hasn’t improved, unfortunately. Please do keep her and her family in your prayers still. So sad. Thank you for your excitement for me! I’m so eager to watch His hand unfold the plans He has for us as well. My babies are good- getting so big! 🙂 Blessings to you and yours. It is so exciting to see your fruit trees and bushes thriving. It gives me hope for the future of my little piece of property. Years ago my husband’s grandmother had a grape arbor and many cherry trees, she would always call me and tell me to come and get what I wanted. I was the only one in the family that wanted to use the fruit. One year she was so upset because the birds had picked all the cherries off the trees. Grandma has been gone many years and I miss her and our fruit days. Your blog has brought a flood of memories back to me. Way ahead of you. Bought 24 acres two years ago and this spring planted fruit trees. Three varieties of apple, two varieties of plum, three varieties of pomegranate, three varieties of fig, two vatieties of almond, and one mulberry. It was a little hard to wait impatiently for the first signs of life when the weather warmed, but everything is budded out. You have to baby them along for their first year, making sure to water regularly through the summer. By the end of the second season, the root structure will be well established and in the third season, you usually see your first fruit. Not much, mind you, but a little promise of things to come. We JUST removed all of our boxwood shrubs and planted blueberry bushes in their place this weekend! We only had a few shrubs so we only replaced the few we had. We also just had to cut down a dead deciduous tree that met its demise with last years drought. We have been discussing buying a couple of apple trees to replace it, but haven’t decided yet. I think this may be on our list within the next couple weeks! Such a great idea to make your landscape (any portion you can) edible. That’s great, T.M.T! You’ve got a ton of stuff growing there! I’d love to get some gooseberries and goji berries, too 🙂 Very cool. This is exactly right!! Put your money, water and time into something you can eat…and your work and attention too. Our grandparents were right. If your harvest is too large, share the bounty – many older folks can’t do this for themselves anymore, but appreciate wonderful fresh produce.